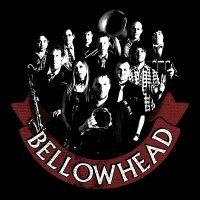 Bellowhead are more of a folk team than simply a band. Even if someone calls in sick, there's still enough members to warm-up for the gig with a full five-a-side match. The band was founded in 2004 by John Spiers and Jon Boden who famously came up with the idea while sat in a traffic jam together. The longer they waited, the bigger the Bellowhead project became. By the time the traffic cleared, they'd thought of another nine musicians who might be interested. Seven years on and Bellowhead are at the top of the UK's thriving contemporary folk scene. At the 2011 BBC Radio 2 Folk Awards, the band picked up the Best Live Act award for a record fifth time (in six years), as well as being named Best Group, all following the success of their 2010 album, their third, 'Hedonism'. And it is for their energetic, intoxicating live shows that Bellowhead are most loved. If you want proof, they've just announced a series of 2012 dates. The autumn tour kicks off in Wolverhampton on 6th November, followed by the Roundhouse on 7th, and dates in Norwich, Cambridge, Brighton, York, Salford and more, before the final gig announced so far at the The Engine Shed in Lincoln on 23rd November. We will have tickets available for these shows when they go on sale at 9am on Friday 24th February, priced from around £18, rising to £22.50 for the Camden show. The eleven-piece will also be appearing at a number of festivals this summer, including Wychwood Festival 2012 (8 Jun), Camp Bestival 2012 (27 Jul) and Folkeast Festival (25 Aug) so there's plenty of opportunity to catch up with the award winning collective. However, the Bellowhead/ Super Strings show at the Steam Museum in Swindon on 4th March is sold out. Thu 25th Jul 2019 to Sun 28th Jul 2019 Camp BestivalLulworth Castle (Dorset)More Info..